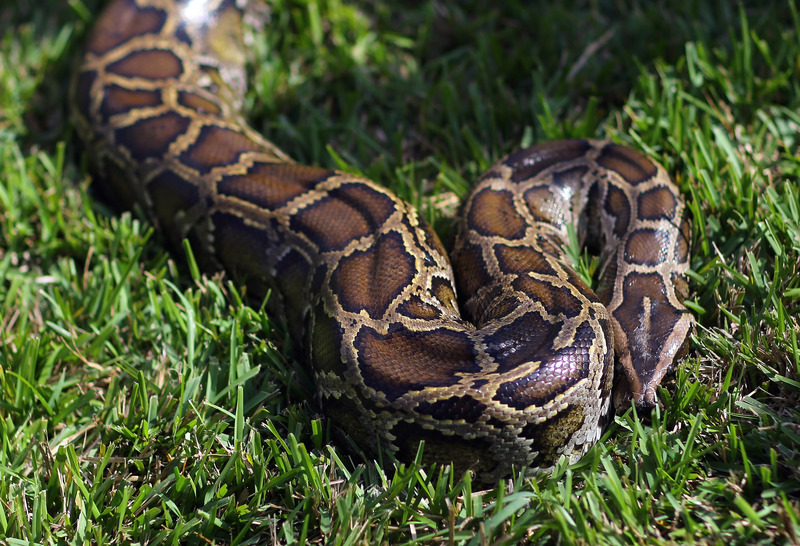 An escaped python attacked and killed two small children in the New Brunswick, Canada Monday. The brothers, Noah Barthe, 5, and Connor Barthe, 7 were having a sleepover with the son of pet store owner Jean-Claude Savoie when the attack occurred. It is unclear how the snake escaped its enclosure, but police believe that after it slipped out of its cage it traveled through the ventilation system and into the apartment, crushing or strangling the two small boys. Savoie's store, Reptile Ocean, opened in 1995 and was once a zoo. His apartment is located on top of his exotic pet store. The non-venomous African rock python can grow to be up to 20 feet long, making it the largest snake on the African continent. In the wild, the snakes prey on large animals including monkeys, antelopes, and crocodiles, constricting them and then swallowing them whole. The snake was captured and remains in police custody.